Maybe you have your copy of One Grave at a Time, but you weren’t able to get to a signing–here’s a contest for you! 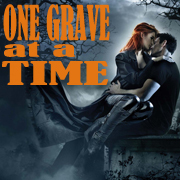 The Book Diva is offering her signed copy of One Grave at a Time and is throwing in the Night Huntress book mark given away at the signing as well! Please be sure to visit The Book Diva book blog and enter to win! Wow so glad to see this here! Thank you!